A Craig Cameron favorite, this bit has a 7 1/4" swept back, exaggerated "C" swivel shank with a no pinch cheek. 5" medium port with bowed mouth for more tongue relief. Copper strips inlayed bars to promote mouth wellness. 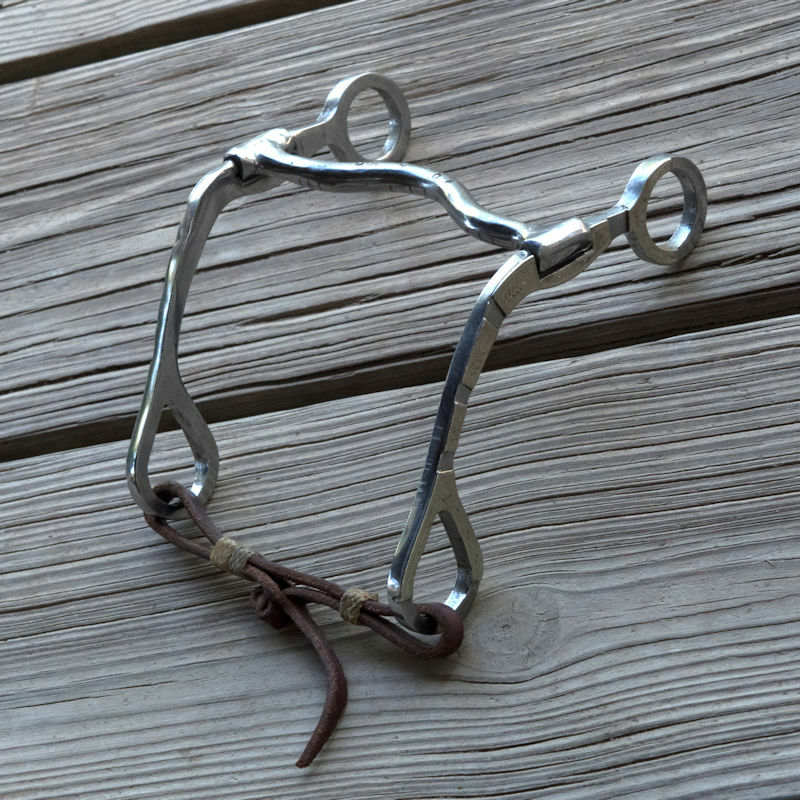 A great transitional bit for a young horse advancing to a shanked bit and curb.